The Kanner-Kurzon Museum, Beth El Synagogue Center,1324 North Ave., New Rochelle, NY 10804. 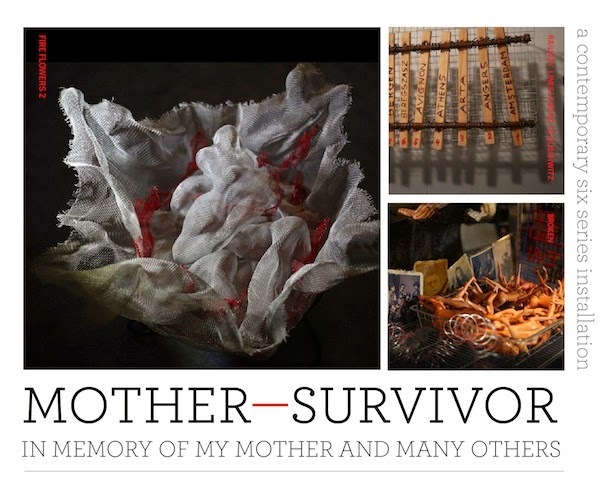 In Mother-Survivor, a Woman's Personal Story is Intertwined with the Tragedy of Human History, Lea is expressing her mother's Holocaust Journey through emotional interpretations with symbols and shadows, her six series of works are: 1. Scar of David 2. Crime Scene, 3. Haunted, 4. Auschwitz-Birkenau, 5. The Story of Clothing Sorter, 6. Memory; each series includes at least six parts. Curator: Arle Sklar- Weinstein, Sponsored by the Holocaust & Human Rights Education Center, NY with the cooperation of ArtsWestchester from March 8 – April 27, 2014.